Dominique Baettig from the Swiss People’s Party has filed a motion denouncing the “opaque supranational governance”. 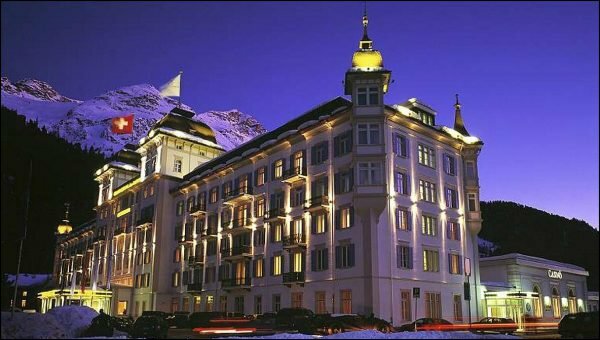 The Bilderberg Group, a controversial invitation-only gathering of the world’s power brokers, is set to meet in the Swiss resort of St Moritz on Thursday. Critics denounce the four-day conference, which is closed to the prying eyes of the media and doesn’t issue any press releases, for having a deleterious influence on world politics. Previous guests include kings, presidents, captains of industry and heads of international organisations. United States Secretary of State Henry Kissinger has attended, as have Microsoft founder Bill Gates, German Chancellor Angela Merkel and current Chairman of the Federal Reserve Ben Bernanke. Another regular is Dominique Strauss-Kahn, former head of the International Monetary Fund, currently facing criminal charges. “The Bilderberg Group is like a restricted circle of guests from the World Economic Forum (WEF) meeting in Davos,” said Sergio Rossi, economics professor at Fribourg University. He said the regulars at Bilderberg – named after the original conference held at the Hotel de Bilderberg in the Netherlands in 1954 – find the WEF a “hectic beanfeast”. 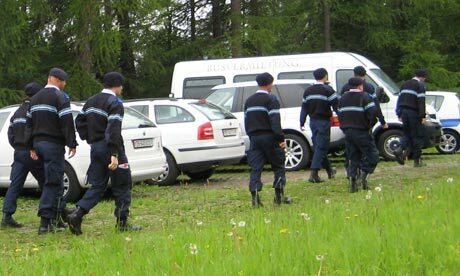 At Bilderberg, “one is at Hermès”, noted Pascal Lamy, director-general of the World Trade Organization, referring to the French luxury goods maker. 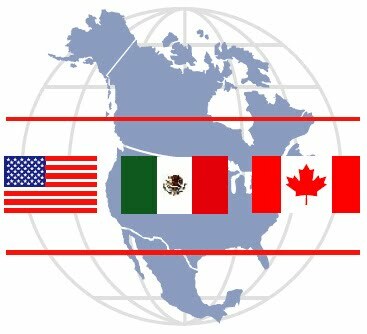 Invitees appreciate being able to discuss “openly and freely” the issues facing the world, such as the health of the euro or the greenback. Pascal Couchepin, a former Swiss cabinet minister who regularly attended Bilderberg meetings, proudly compared the annual get-together to a “university seminar for people with experience”. But not all Swiss politicians are so welcoming. Dominique Baettig from the rightwing Swiss People’s Party has filed a motion denouncing the “opaque supranational governance”. The allure of the ultra-select club is not fading, as proved by the private jets landing at nearby Samedan airport, the lines of limousines with tinted windows and phalanxes of bodyguards. And above all, the relatively discreet arrival of VIPs – something that delights the local authorities. “We’re thrilled that these key figures have chosen to meet in Graubünden,” said Martin Schmid, president of the cantonal senate. Which key figures exactly are gracing Graubünden with their presence is impossible to say, but, as every year, the guest list is exclusively reserved for decision-makers from Europe and North America. In an unusual step, Swiss minister Doris Leuthard, who holds the environment, transport, energy and communications portfolios, admitted she would attend this year. It’s the fifth time that the planet’s most exclusive conclave has met in Switzerland: it was held three times in Bürgenstock above Lake Lucerne and once at Bad Ragaz in canton St Gallen. This year, some 130 movers and shakers are expected. As with Davos and the WEF, St Moritz will be heavily fortified – one difference, however, being the total lack of information on security or how much taxpayers will have to cough up. Barbara Janom-Steiner, head of cantonal justice and police, is keeping her lips sealed. For conspiracy theorists, Bilderberg is nothing more than an “International Schemers’ Association” whose aim is to create a “secret world government”. They point to the total lack of transparency which characterises discussions, since every participant swears never to reveal any contents of conversations. However, this has not prevented titbits from leaking out – last year for example the discussions apparently focused on Iraq, Greece and the health – or lack of it – of the euro. Bilderberg never results in any form of resolution or agreement, nevertheless some people see a decisive influence on global political affairs. Among what they consider previous troubling coincidences: in 1991, Bill Clinton, then a mere governor, was said to have been set up as future US president; in 2002, Donald Rumsfeld, then US secretary of defense, was said to have planned the intervention of coalition forces in Iraq. In 2003, former French President Valéry Giscard d’Estaing, then president of the Convention on the Future of Europe, allegedly unveiled a preview of the European Constitution. But as the world’s media peer into the tinted windows of St Moritz, Sergio Rossi believes Bilderberg could be just the tip of the iceberg. You know you’re in Switzerland when the public lavatory at the multi-storey car park is cleaner than your own bathroom. And the streets! My God, you could eat your dinner off the pavement in St Moritz. 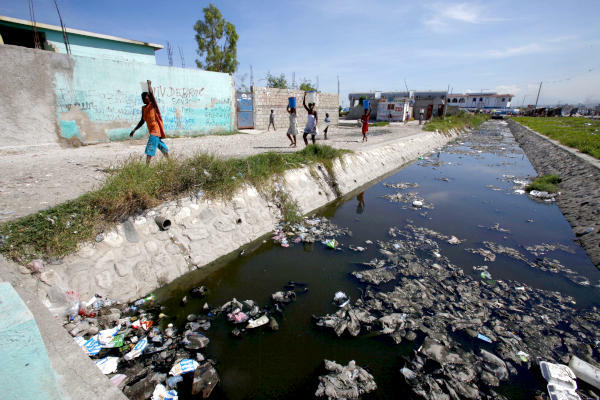 I’m seriously thinking of writing to Tower Hamlets council suggesting they come here on a fact-finding tour. Although what the hell are they doing on a freebie junket to Switzerland when they’re busy cutting our rubbish collections? It’s a disgrace! I’m going to write to Tower Hamlets council to complain. I don’t know quite what I was expecting from a Swiss Bilderberg. I was expecting it clean, but I wasn’t expecting the Bilderberg I’ve found. For one thing, I was imagining a rather muted atmosphere, stern even – batons up, visors down – but there’s a happy buzz around the venue: the conference doesn’t kick off until Thursday but already there’s a growing crowd of journalists, bloggers and activists. The social justice group We Are Change are here in force. And (praise be!) representatives of the mainstream media are rolling up. Anna nods towards a man smoking a cheroot, enjoying a rare glimpse of alpine sun. “It is thanks to Manfred”. The Manfred in question takes a peek down a foot-long camera lens, which he’s focusing down on a security briefing in the hotel lobby. “There must be 300 security, easily” he growls. Manfred Petrisch is a Swiss blogger and a long-time Bilderbotherer. This year, the conference is on his home turf, and he’s been lobbying politicians and the mainstream press for weeks. The hotel promises that the Privatsphäre of the guests will be utterly respektiert, which goes for the conference, as well: the press will be lucky to get a whiff of Kissinger’s toast in the morning. It’s a shame the attendees are still so phobic of attention, seeing as how this year there’s shaping up to be more press interest than ever. People and the media have finally started noticing this quiet little conference at the centre of the storm. The last two countries to play host to the meeting were Greece and Spain, both of whom waved goodbye to Bilderberg and said hello to austerity and unrest. Happy Christmas, Switzerland. 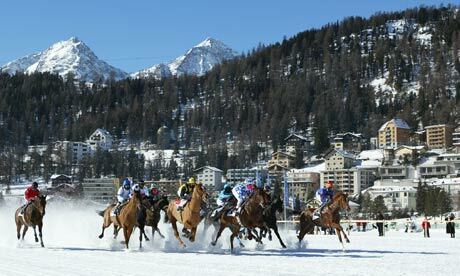 This year, a bunch of less-than-happy Brits are heading out to St Moritz by minibus, to voice their concern at the policies being thrashed out at the conference. They’ve dubbed their fifteen-seater the Bilderbus, and it leaves Nottingham on Tuesday after work. There are still ten seats to fill: it’s £95 return, and camping’s cheap when you get there. And I can’t stress this enough: it really is a sight to behold. (The conference, not the minibus). If you’d like to book a place on the minibus, you can email the organisers at this address: bilderbus@hotmail.com. And if you’re interested to see what crops up on the official Bilderberg agenda, then keep an eye on their website. Jockeying for position are the crisis in the eurozone, the Arab Spring, the Fukushima fallout (with Germany backing away from nuclear), and of course, what to do about the internet. That old chestnut. Maybe this year they’ll hold a press conference like, I don’t know, grown-ups might. I won’t be holding my breath. But I will be sniffing the air of St Moritz. If I find out one thing this year, it’s going to be what Kissinger has for breakfast. Live eels snatched from a bucket? Or ducklings? Suddenly I’m imagining ducklings. And a mallet. WASHINGTON, D.C. — In a room full of scientists, and with a slate of Nobel Prize winners and bureaucrats scheduled to speak, it took a movie star to demand that everyone stop playing make-believe. 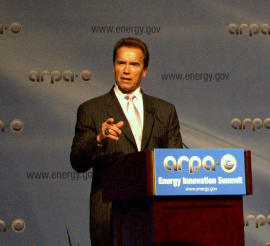 Giving the keynote address at the APRA-E Energy Innovation Summit here today (March 1), Arnold Schwarzenegger issued forth a call to end the false debate over climate science, to stop assuming China will provide new green tech cheaper and faster than the United States, and to stop pretending that global warming won’t affect people for decades. Using analogies to leverage every aspect of his history, Schwarzenegger made the case that transitioning to a green economy, fixing the environment and ending political stalemate over carbon legislation fell well within the power of today’s technology and today’s political climate. “We want a new era of energy independence, a new era of green technology and green jobs, a new era of better health from a cleaner environment, and a new era of American inventiveness,” Schwarzenegger said. The former governor and action-firm superstar compared the current debate over climate change to the state of bodybuilding when he entered that sport in the late 1960s. A pervasive fear of weightlifting’s effects led celebrities to disavow their own exercise routines, and produced euphemisms when discussing the activity. However, scientific evidence eventually came to support the health benefits of weightlifting, and today talk about abs and pecs is common. Confident in having brought weightlifting to the mainstream, Schwarzenegger told the audience he hopes to do the same for climate science. Schwarzenegger also linked a future green economy to the current unrest in the Mideast, both literally and figuratively. He suggested that the overthrow of foreign dictators seemed impossible a month ago but now seems inevitable. Similarly, he believes that defeatism about the ability of a green revolution to change America will soon look absurd as well. More directly, the former California governor also pointed to the recent volatility in oil prices resulting from Middle Eastern revolutions as a perfect example of why the U.S. needs to wean itself off foreign oil. “Why should a dried-up desert country with a crazy dictator like Libya play havoc with America’s energy future?” said Schwarzenegger. In a closing point that struck the deepest chord with the audience, the erstwhile Terminator, who first made his mark in action films as Conan the Barbarian, identified the ARPA-E attendees as the primary agents for the change he advocated. The ARPA-E (Advanced Research Projects Agency-Energy) summit runs through tomorrow (March 2).